Nothing says that you are an experienced DIY enthusiast or a person who has some kind of artistic flair, like a large workshop standing with pride in your garden. While it is true a shed can do pretty much the same job a workshop can, we understand that sometimes you want that extra bit of space you get with a workshop or you want a building that is specifically designed with working in mind and not just tossing your tools and mower inside. Well today we are showing you who the top ten workshop retailers are. We have checked each site, seen what they have to offer and also taken note of which sites are easy to use and which ones are a little on the complicated side. 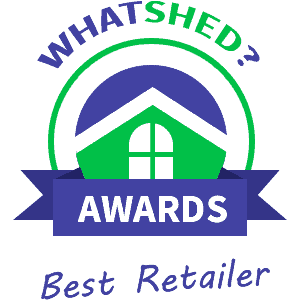 So grab a beer, glass of wine or even just a coke and enjoy our top 10 workshop retailers list. that they have is available in different sizes, with various extras and has a very detailed description and multiple pictures. All in all, the site handles their workshop section just incredibly well and without a doubt this is the first site you want to check if you are in the market for a workshop. you are looking at. They seem to specialise in more high end workshops here as they only have one workshop priced at under £500, but if you want a large, high quality and in general very impressive, top of the line workshop then these guys will not let you down. to scroll down past at least 20 sheds before you get to a workshop on here. Still this is a easy to use site and they do have a lot of choice, with most of their products having some kind of extras or customisation options. high end workshops as well. The information on most of their products is very vast and may be a little overwhelming for some, but we actually really like this as it lets you know exactly what you are getting. So while you may have to look through a lot of products on here, we can tell you that they do have some pretty awesome workshops on here. click on one of their workshops, you will be pleased to know that there is a fair amount of information here and also a few pictures as well so you get a really good idea about what each workshop offers. We also liked how they had a few cheaper workshops and larger sheds as well so if you are on a budget then you will certainly want to have a look here. and sheds. They do actually have some very impressive workshops on here and they do a wonderful job in letting you know the important info, but finding their workshops is way more work than it should be. Also one other thing is that some of their workshops say that they can take up to 12 weeks for delivery, so keep that in mind if you want a workshop in a hurry. They do though on the same page have a few sheds that would work well as a workshop and that was a nice touch. honesty, we really like this website and if they had a few more workshops for sale then we feel that they would have easily been a few spots higher on our top 10 workshop retailers list. having the fastest delivery times and this is because they do not stock the workshops themselves. They also do not have the most positive reputation when it comes to customer service so that is something you will want to consider before using this site. garages, so this is not something that we see many people being okay with. The site and the information that they offer is fine, but we just wish they offered a couple of workshops or even another garage more suited for people with tighter budgets.